Createspace Independent Publishing Platform, 9781470193577, 280pp. Not since Alexander McCall Smith have such unlikely detectives set out to bring a malefactor to justice. 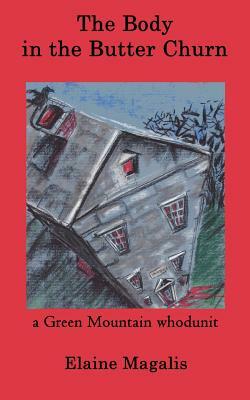 But when a meeting in the Old Shrubsbury School House Museum kitchen unexpectedly ends with the discovery of Agatha Hamilton's body in the Star butter churn, the museum's elderly caretaker and her 12-year-old assistant decide that they're uniquely qualified to investigate Old Aggie's death. Besides, they reason, the murderer would never guess that a dithery old lady and a nerdy kid were after him. Would he? Shadowy figures haunt the old museum building, as the two intrepid friends discover that every mystery leads to another more unlikely one, and that some very evil people live in their peaceful New England town.